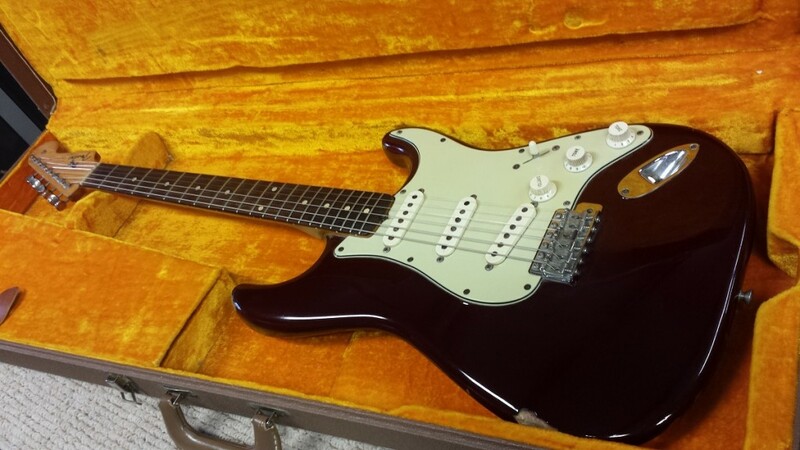 The owner of this 1961 Fender Stratocaster brought it to me for a “lite” restoration. All it really needed was a refret and refinish. He has owned this guitar since the early 1990’s and I was actually the last tech to work on it…ha!! 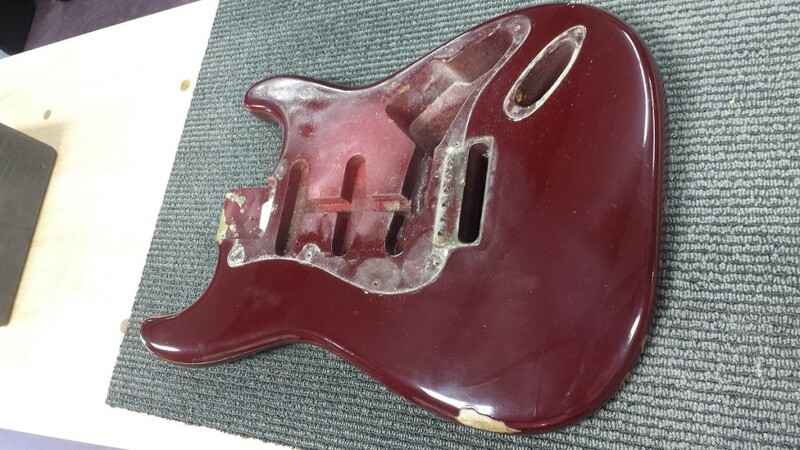 The finish in the above photo is not original and it’s actually a dark burgundy color which is obviously not a period correct, stock Fender finish. 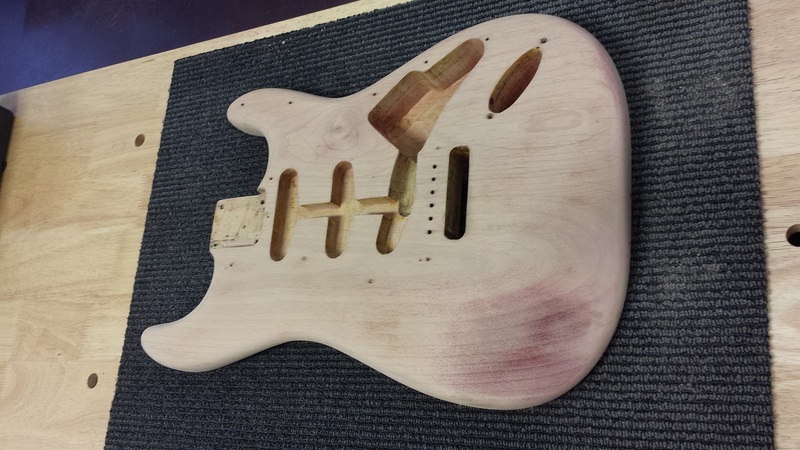 The finish was also very thick so a new refinish in a period correct, stock Fender color was in order. 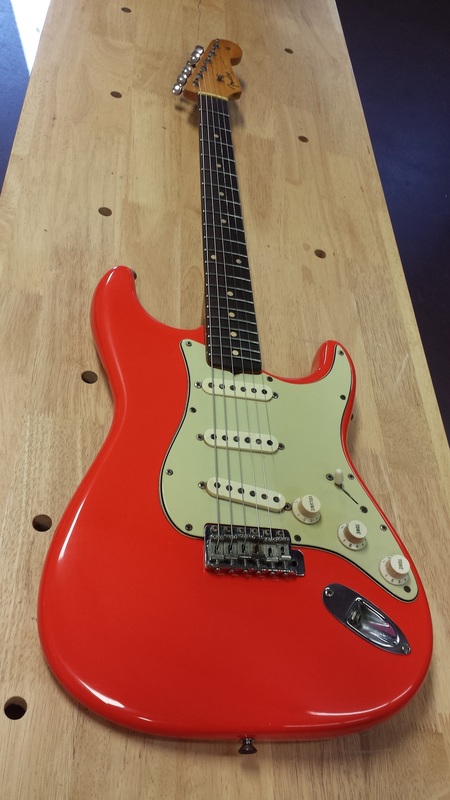 I sent the body to Mark Jenny of MJT for a Fiesta Red refinish. While the body was at MJT I was busy refretting the neck with Dunlop #6105 fret wire. 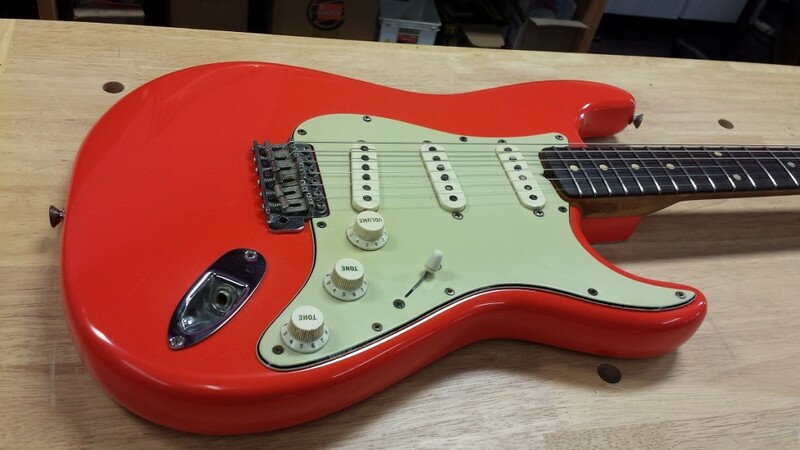 In the end this Stratocaster looks great and plays like a dream. Tone…? YES, in spades! Warm, woody, airy and just plain old “vintage Stratty”. Love me some vintage geetars!!! You can see in this photo the burgundy type color. 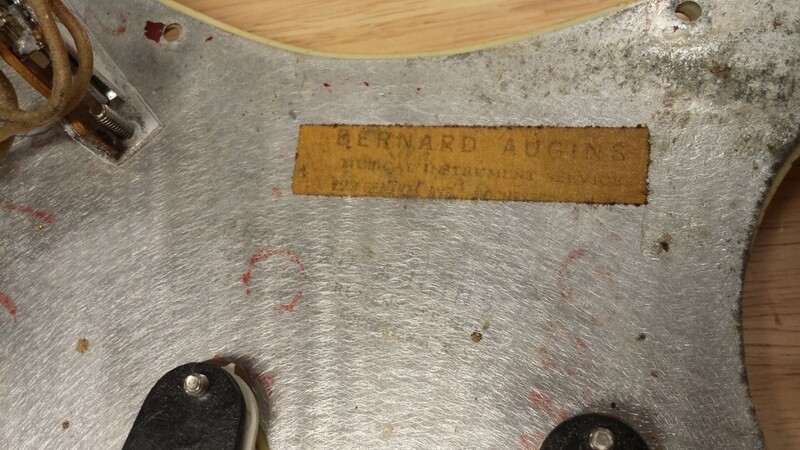 Vintage music shop info under the pickguard.